Turning storybooks into transmedia adventures. For thirty years, designers have been experimenting with the intersection of the book and technology, but, until now, tools like Adobe InDesign and Layar Creator have not been so widely available and easy to use. With the wide proliferation of self-publishing, experimentation is increasingly possible. ‘The Window Makes It Hard to Sleep’ is a collection of transmedia narratives that seeks to enhance and modify the experience of reading a book in a variety of ways using technology. The intent is to offer the reader a more enjoyable, engaging and immersive experience than just plain text. This experiment could offer an innovative form for fiction books/ebook and/or open up ideas for writers to create new forms of stories using cutting edge platforms. ‘The Window Makes It Hard to Sleep’ is based on my original fiction since I believe that the form would only be suitable- and preserve/enhance the authorial voice- if it was drawn from the content itself. Vulgar Display is represented literally through a life size display of a naked man. 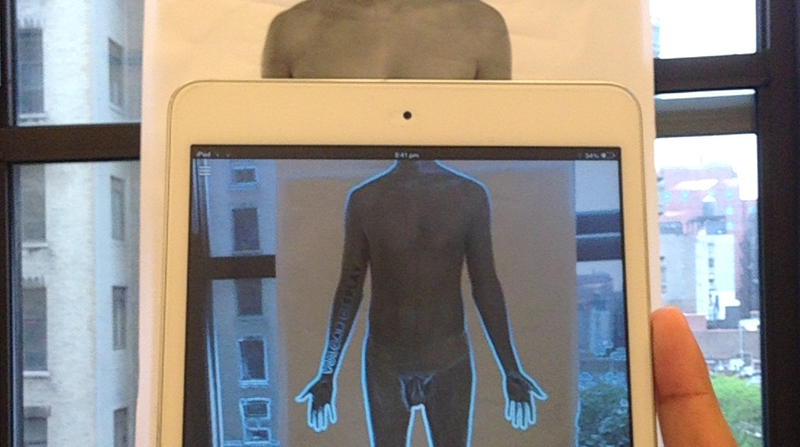 Scan the torso with Layar to find the real story- etched right on the body. 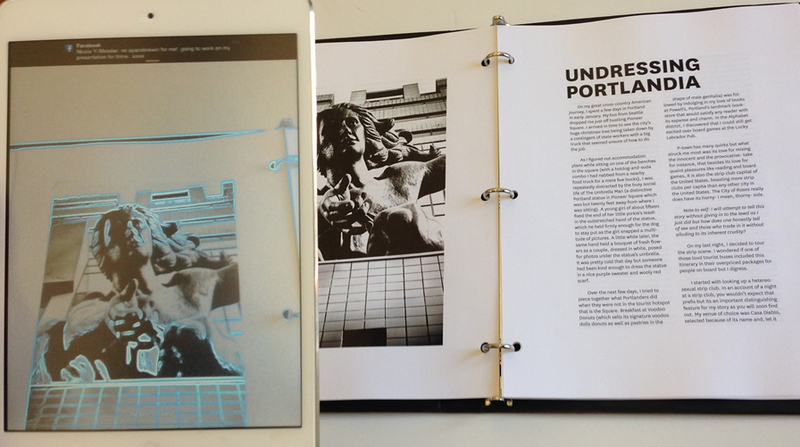 The print counterpart of the project has the same multimedia elements as the ebook but they use the stories’ cover photos as the anchor. 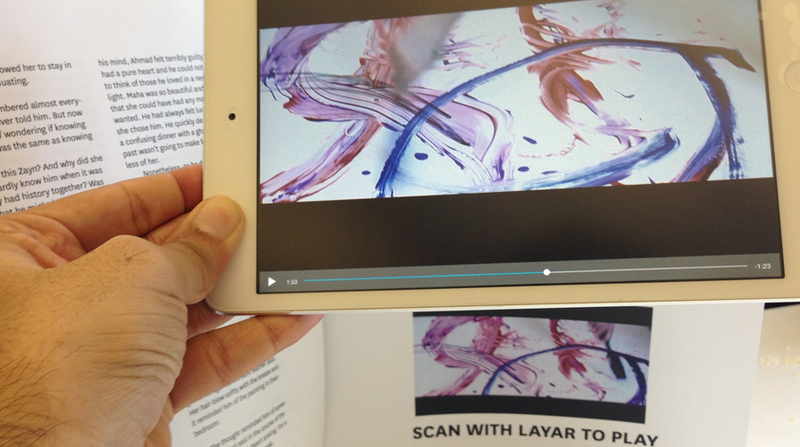 Scan the cover photos with the Layar app to activate the story elements!